MOSCOW, February 11. /TASS/. 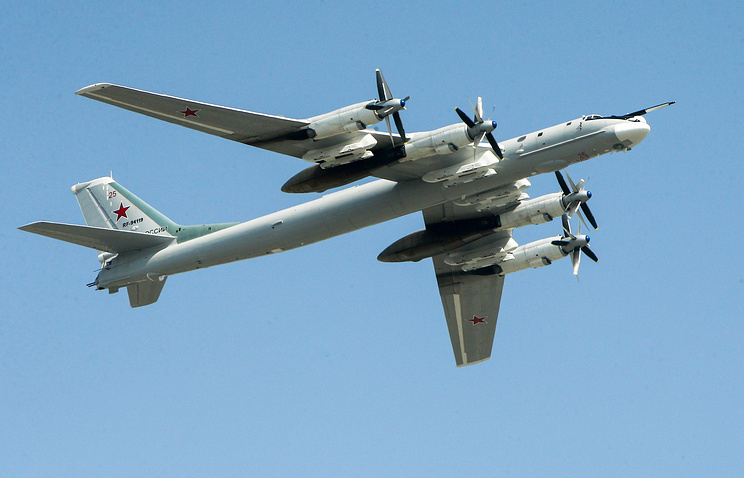 Russian strategic bombers Tu-95MS have carried out a missile strike on "enemy" ground facilities in several Russian regions during a military exercise, the Russian Defense Ministry’s press service told journalists on Monday. "Long-range aviation crews performed tasks on redeployment, air refueling and carrying out a ‘missile strike’ on enemy ground facilities during the main stage of the drills," the press service said. 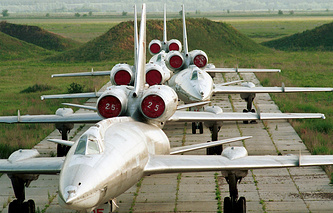 The press service specified that up to 10 crews of strategic bombers and tanker aircraft were involved in the training flights. Pilots and air navigators that graduated from military educational institutions in 2016-2017 also took part in the exercise. Deputy commander of the long-range aviation unit Colonel Andrei Malyshev noted, as quoted by the Defense Ministry, that flights are being carried out on the territory of several regions of the Western and Central Military Districts, with the temperature regime in flux, low cloud, heavy precipitation and other factors of difficult weather conditions. Tu-95MS carried out flights from the long-range airfield Engels in the Saratov Region.